A native of Brooklyn, NY, Robyn was immersed in local community theater and opera workshops from a very early age (four, to be exact!). Finding a special sense of joy and "rightness" in the language of music and performance, she kept on pursuing an education in singing, acting and piano—eventually graduating from Manhattan’s prestigious LaGuardia High School of Performing Arts. Robyn's teen years brought wondrous new discoveries, broadened perspectives … and a sudden fierce and passionate obsession with rock and roll! Though trained in classical voice and musical theater, there really was no turning back after the first 15 seconds of "Purple Haze" hit the poor girl’s eardrums, and after high school, she spent several exciting years playing NYC clubs in an original band called Maya’s Attic with her husband, guitarist Vincent Noto. A love of traveling and an impulse to shift gears led her and Vincent to Seattle, where Robyn happily dove into the vibrant scene of classic rock tributes. Intrigued by an ad in The Stranger, fate connected her to a fantastic group of musicians looking for a vocalist for the Yes cover band, Parallels. After a couple of years of (extremely!) dedicated practice, the group was elated to find in the audience at one of their gigs, none other than Alan White! As if that weren’t amazing enough, Alan even came up and played a few tunes! Since then, Robyn has been more than honored to join Alan at various benefit shows around town, and is absolutely thrilled for the opportunity to lend her voice to the music of White. 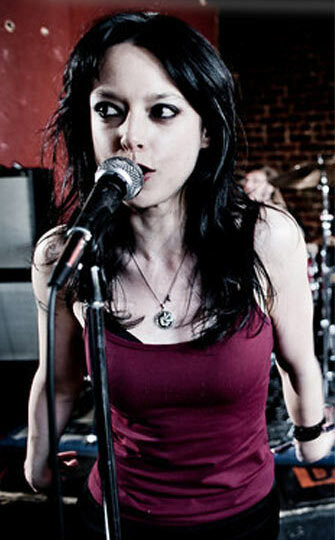 Robyn has also been featured on the album This Good Place by Ajalon (Prog Rock Records), and currently fronts a Black Sabbath tribute band in Seattle called Supernauty.